Late Strawberry originated around 1848 in Aurora, New York, and was quite popular and widely sold by many southern nurseries. 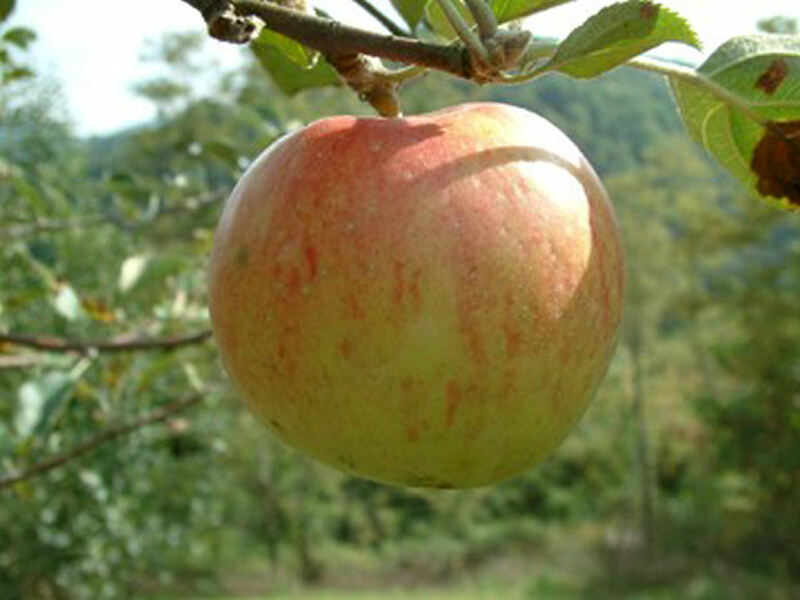 It is a most attractive apple and considered one of the best dessert apples available. 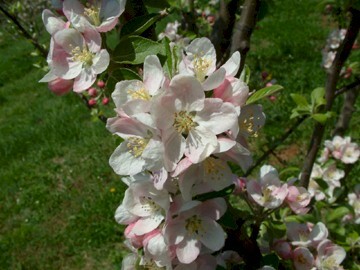 It is very well suited for the home orchard as it tends to ripen over a period of several weeks. It is a vigorous, healthy, and long-lived tree producing moderate to heavy yields biennially or nearly annually. Fruit is medium or larger and often strongly ribbed. The skin is pale yellow nearly covered with pinkish-red and purplish-carmine striping. The yellowish-white flesh is fine-grained, crisp, tender, and juicy. Ripens September to October.